We are proud to partner with our “Safety Driving” partner, Ford Motor Company, for this initiative. Multitasking is part of today’s busier-than-ever society but the practice can actually be deadly while behind the wheel. With the constant increase of demands, the temptation to split our focus is stronger than ever, creating a new and very dangerous safety hazard on the road: distracted driving. When distracted driving occurs around school zones, the results can be deadly. Ford Motor Company is aware of the dangers distracted driving presents and wants to help Florida schools battle the issue. According to the Florida Highway Safety and Motor Vehicles (FLHSMV), in 2013 distracted driving was the cause of 39,000 crashes in Florida resulting in 201 deaths and 33,000 injuries. A big misconception regarding distracted driving is that it doesn’t go beyond cellphone usage; however, as FLHSMV states, distracted driving is “any activity that takes the driver’s attention away from the task of driving.” This includes eating, applying makeup, and even playing with the radio. “Ford Safe Driving Zone: Zona de Conducir Seguro”– is a safety campaign in partnership with schools across Florida schools and Los Tweens & Teens. The campaign seeks to emphasize the importance of keeping our hands on the wheel and our eyes on the road at all times and will be implemented initially at school zones across Miami, Florida. The partnerships aim to create a greater awareness among drivers, especially teenagers, about distracted driving and how it affects everyone on and off the road- especially around school zones. We encourage Florida schools to participate and receive a gift of safety equipment to help improve your schools’ safety programs. Ford Safety Zone team members across the state and in Miami, Miami-Dade Schools Police Department, will hand-deliver Ford Safe Driving Zone banners directly to campuses. The person who nominates the school is automatically entered to win a $50 gift card! It’s a win-win for everyone. 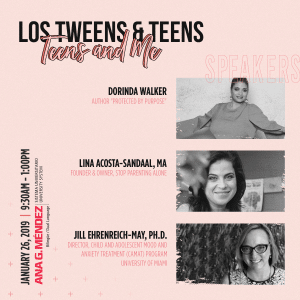 This entry was posted in Body, For Mothers & Tias, Parenting Teens, Raising Tweens, Teaching & Education Tips, Teen Driving and tagged back to school, Driving Safety, Ford, Ford Safe Driving Zone, Zona Segura. Bookmark the permalink. Que buena iniciativa, estoy participando para la escuela de mi hijo. Creating awareness to this issue is extremely important. Thank you for sharing this and I can’t wait to nominated on the link! Love the initiative! We need to keep our teens safe and encourage them to make the right decisions! 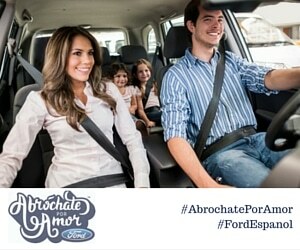 Excelente compromiso de Ford!. Ese programa debería extenderse por todo el país!. Love, love this Initiative of Ford. I know we all have places to go, but it is very important to keep it slow in a school zone. Que excelente iniciativa, Muchas gracias por conpartirla! Saludos! realmente es una iniciativa muy interesante. Los conductores tienen que tomar conciencia de lo fatales que pueden ser las distracciones al volante, y es importantísimo que en las zonas escolares se extremen la atención y las precauciones. What a great campaign, so important to keep kids safe and to teach them about focusing on the road! The more we see an image the more it sticks with us. I’m so glad to see these kind of messages in schools. I wish we could have it in all the schools. Thank you Ford for helping our families be safer on the roads. What a wonderful initiative!! I think one can never be too careful, especially around school zones. I nominate Jack Gordon Elementary! Great campaign for our teens and schools. Thank you for this awesome opportunity.